It ‘a large fresco painted by Piero della Francesca on the central wall of the audience hall of the Palace of the Conservators. The work, considered among the most representative of the artist, is the expression of the human and spiritual rebirth of Christ. The figure of the Savior reigns in the scene, strong, energetic and solemn: it is Christ who triumphs over the darkness of the tomb and the unawareness of men. In the background a metaphorical landscape depicting the changing of the times and the seasons of life, symbolized by lush vegetation and a nature strips. The artist chooses to represent the beginning of a new day, which stands as a symbol of the dawn of life. 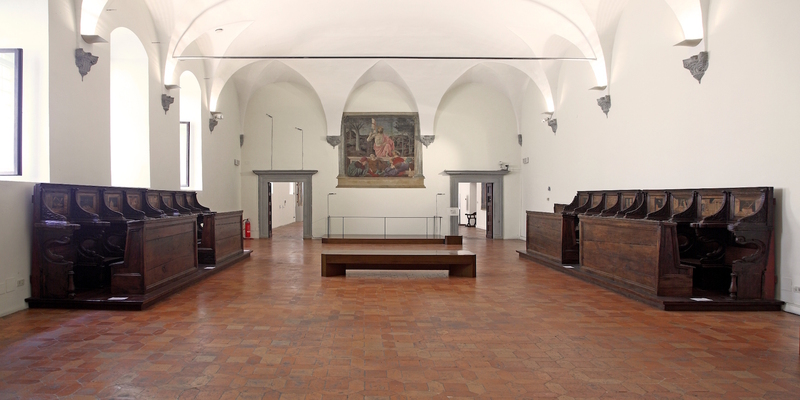 For the first time this year the fresco painted between 1450 and 1465 will be restored thanks to a donation from an individual and to the collaboration of the Opificio delle Pietre Dure and the Superintendency of Arezzo. 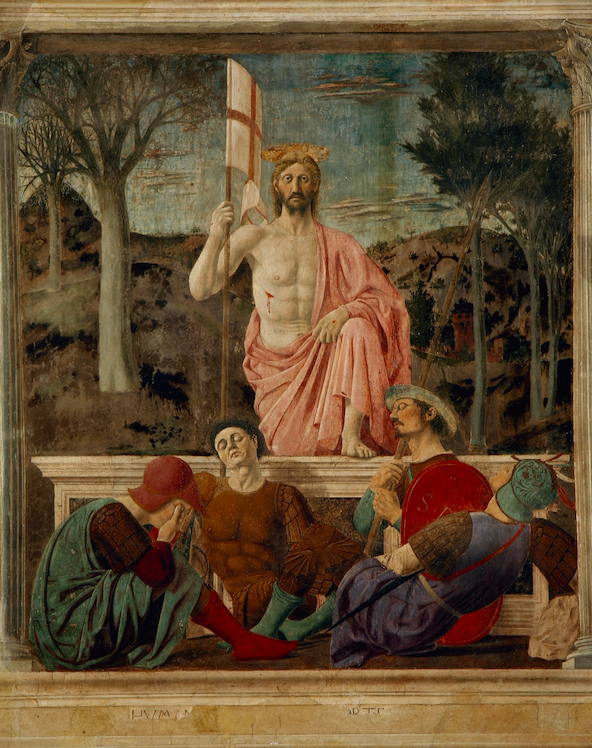 During the entire period of the restoration, the Risen will be visible to the public. The yard will be set up with an innovative and functional scaffolding that will enable the public to follow the work of restoration and admire, work-in-progress, the masterpiece of Piero della Francesca. A unique opportunity for visitors who can watch live stages of this important event.